How To Sell on Facebook Marketplace Page Near Me | Turn on Selling on Facebook Page With Selling Features | How Much Does Selling On Facebook Store Fees Cost? Let's get started with How To Sell on Facebook Marketplace Page Near Me | Turn on Selling on Facebook Page With Selling Features | How Much Does Selling On Facebook Store Fees Cost? In this post, you'll see everything you need to know about selling on Facebook marketplace. Interestingly, the Features selling features are now available on many buy and sell groups on Facebook, which makes it easy for you to list your items, add important details to them before posting it on the platform. With the Facebook Selling Selling features it is quite easy to describe items you are selling, add price, Pick up locations and more for buyers to see on your item listings on your post in the group. Buyers can get all the necessary details they need to know about the items you are selling once you use the Facebook selling features to add such necessary details which make transactions easier and less confusing. - To turn it off simply follow the same steps, then tap BUY AND SELL as the current group type, then choose a new group type and click SAVE. With the Facebook Selling features now available, selling items on facebook buy and sell groups is now quite easy; just follow the steps below to start selling items on facebook buy and sell groups. - Click the menu icon, then tap GROUPS and choose the buy and sell group you would like to sell in. - Add the price of what you are selling, location, description, and photos as prompted by facebook. - You can then decide to post listings to the buy and sell group as well as marketplace; by default facebook assumes you will want to post listings to both platforms. If you don’t want to, you can deselect marketplace on the menu at the bottom of the SELL SOMETHING button. The menu also gives you the option to post listings to other buy and sell groups you belong to. - Once you are done adding the necessary info, you can then click the BLUE POST button to post your listings. Facebook will notify you of any comments or messages from interested buyers on the listing you posted. The Facebook selling features on facebook buy and sell groups also enables you to mark items you have sold on the group as sold so that other group members will know it is off the list of items still for sale in the group. - Click the GROUPS from your news feed and select the selling group you sold an item in. - Click the top right of the post and choose MARK AS SOLD option. Facebook selling feature makes it easy for you to sell items on the various buy and sell groups you belong to, the SELL feature allows you to add details of the items you wish to sell and post to various groups you belong to. Buyers can now get all the necessary details they need to know about the items you are selling once you use the sell feature to add such necessary details to make transactions easier and less confusing. Selling On Facebook Fees – Facebook store and Facebook marketplace are becoming quite trending topics online, millions of people are realizing the relevance of these platforms to online marketing, and everyone wants to know more. Yes! Facebook is more than what it used to be, it is fast becoming one of the largest online marketing platforms in the world and everyone is trying so hard to become part of it. But then there’s this aspect of Facebook online marketing platforms that everyone seems to be concerned about, and that’s the fees attached to using these platforms. 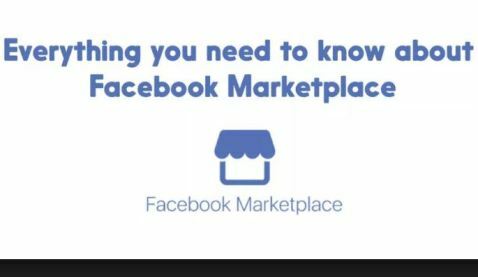 Everyone seems to be bothered about how much they ought to pay to start selling on Facebook store or Facebook marketplace, it’s probably a good thing that we are right here to give you the right answer to that question. Facebook is an online marketing platform which is quite different from other online platforms, in the sense that Facebook online marketing platforms have no fees attached to them. This means you can set up your Facebook store for free, place your listings for customers to view for free and sell your products for free too. This is probably why lots of business owners love patronizing Facebook online marketing platforms, because the bulk of the cash they get from the platform is all theirs. They don’t have to pay for services. So, once you have a business page, you can set up your store and start selling your products for free on your Facebook store. Selling On Facebook Fees If you have been holding back on using this awesome feature on your Facebook app because you probably don’t know Selling On Facebook Fees, then it is time to let go off your worry because Marketplace is a free marketing platform where you can sell items for free. Yes, you can definitely post your listings on Marketplace for people in your local area to discover and purchase for free, you don’t have to pay for anything. So, you can join the millions of business owners and individual sellers and start benefiting from Facebook marketplace and stand a greater chance of reaching your target audience. Selling on marketplace is absolutely free and easy to use. This is what differentiates Facebook marketplace from other online marketing platforms. What you really have to pay for on Facebook is using Facebook ad to market your products on the platform and other platforms like messenger, Instagram and other audience network. Your Facebook ads are sponsored by Facebook, so you will have to pay them to enjoy such services. There are various other business advertisers probably in need of the same ad space you want, so Facebook has to consider some conditions before choosing your ad as the best amongst the rest. However, you get choose how much budget you want to spend on Facebook ad campaigns for a month or for a longer period of time, Facebook has to approve your ad before it can run on Facebook and other platforms. Basically, Facebook functions like an auction where the highest bidder gets the ad, and factors like Bidding, Ad quality, Ad relevance are taken into consideration when choosing the highest bidder. Facebook auctioning affects your price, so you have to put this into consideration when setting your price for Facebook ad. What you really have to pay for on Facebook is for promoting or advertising your business or products not for selling them. Facebook differs from lots of online marketing platforms and lots of people are using it for business purposes not just because it helps you reach your target audience but because it is totally free to sell items on the platform. So, you can start selling your business products through Facebook store or selling personal items through marketplace and you don’t have to bother yourself about how much it costs because it is absolutely free to list and sell items on Facebook. That is it on How To Sell on Facebook Marketplace Page Near Me | Turn on Selling on Facebook Page With Selling Features | How Much Does Selling On Facebook Store Fees Cost?